Three houses (1, 2 and 3) are all situated on one block of land, encompassed by a fence (with house 1 up against the fence). The owners of each of the houses want to build driveways (starting inside the fence) from their homes to their respective gates. To decrease the likelihood of collisions, they do not want the driveways to cross. 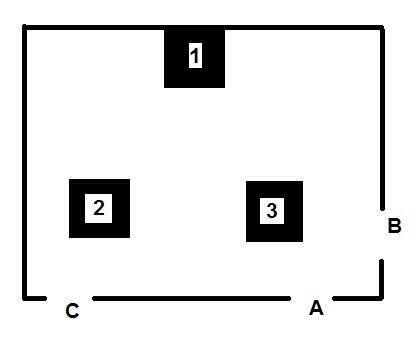 Show the homeowners how they can achieve this - house 1 to gate A, 2 to B and 3 to C.